‘a little girl’, the first story from Carol Ann Duffy, leads you gently along a slightly different path of an obvious fairy story with sentences that are quite ‘cute’ but build the images quickly and point the direction. Moving quickly the words retain clarity and simplicity for a story that grows and turns full circle and assumes to set the tone of the book as re-tellings that create nostalgia. Story two offers a wider, darker setting that fits the genre perfectly and builds on the previous one. 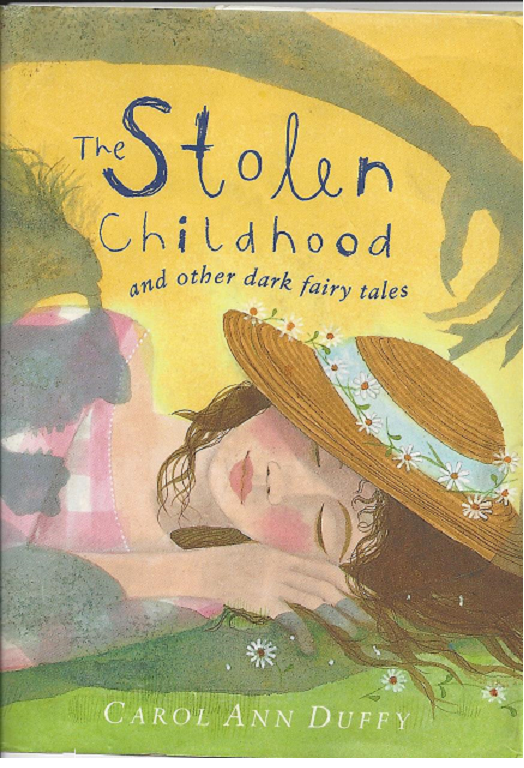 ‘Stolen Childhood’ leads you deeper into the woods. Again we follow a norm, a trail, with this the longest story and the timeless story proceeds. Language is all importantly simple and unambiguous and the story stark, truly black and white and, as the others, turns full circle. Three short stories that are brief, highly readable, maybe only two of which would fit into my label of dark but gave me pleasure to read. They are a reminder that fairy tales can offer straightforward meaning plus other layers whilst prompting the reader to maybe delve into their own fairy tales, imagined or otherwise. As a quick read for adults the quality of the authors work merits opening the book and reading proves it. For the children’s market that Puffin aim at then I would have to label it as for age10+ to read themselves. Having said that, any child a couple of years younger who chooses to read it for themselves will have a pretty easy read, albeit disquieting and a little dark. Just like it says on the tin!